REVIEW SUMMARY: A fascinating and enjoyable anthology containing a number of great stories. Easily among the best original collections of the year. 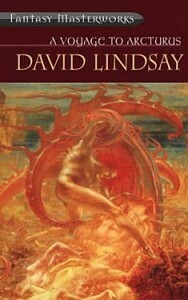 BRIEF SYNOPSIS: As the introduction to this anthology states, “We each have a worldview that helps us navigate the world.” Whether we believe in ourselves, science, or the spiritual, “we all believe in something.” For this anthology, Broaddus and Gordon asked horror, science fiction and fantasy writers to explore that something. The result is an amazing collection of insightful stories. PROS: An extremely strong collection of stories, including several among the year’s best. CONS: A few stories failed to work, but even they impressed with what they attempted to accomplish. BOTTOM LINE: Fans of the horror and dark fantasy genres will enjoy this collection. Equally as important, this is also an anthology for people who don’t love horror or dark fantasy. If you’ve ever wondered what’s missing from much of the dark fantasy and horror you’ve read—and in a word, it is faith—check out this anthology. But that said, most horror and dark fantasy leaves a void within me. While horror and dark fantasy stories may be bloody and scary and unnerving, in the end I’m rarely touched. Yes, I can be scared. Yes, I can be unnerved. Yet the same can be said of the emotions I’ve felt after close brushes with death or witnessing people die. Speaking for myself, something has been missing from too much of the horror and dark fantasy I’ve read. Something I couldn’t put my finger on, but which kept me from fully embracing much of what passes for these genres. Now I know what’s been missing: Faith. Faith in something larger than ourselves. Faith in how people and life struggle on no matter what happens. And of course, faith in the spiritual sense—and that can even include the superficial religious usage of the word, a usage which is always in vogue. I discovered this missing element while reading the Dark Faith anthology edited by Maurice Broaddus and Jerry Gordon. As Broaddus says in his introduction, “We each have a worldview that helps us navigate the world.” Whether we believe in ourselves, science, or the spiritual, “we all believe in something.” For this anthology, Broaddus and Gordon asked horror, science fiction and fantasy writers to explore that something. The result: A truly amazing collection of insightful stories. The anthology opens to a literal bang with “Ghosts of New York” by Jennifer Pelland, as the people who jumped from the Twin Towers on 9/11 are forced to relive their terrifying last moments over and over. Thanks to our cultural obsession and media saturation with that day’s events, any author writing about 9/11 faces the difficulty of both acknowledging readers’ strong memories of the attacks and bringing new insight to an extremely analyzed historic moment. Pelland not only does this with her story, she succeeds by exploring how the act of memorializing a tragedy causing people—literally, in this case—to be trapped into repeating over and over a horrifying reality. An excellent story which will be on my short list for the best of the year. Another excellent story is “Zen and the Art of Gordon Dratch’s Damnation” by Douglas F. Warrick. In this tale Gordon Dratch discovers to his everlasting horror that not only is there a hell, but his practice of zen meditation was exactly the wrong route to salvation. Warrick does a perfect job of deconstructing Gordon’s life in equal time to the demons deconstructing Gordon. But believe it or not, this story has a zen-like ending as Gordon’s unremarkable life causing him to learn that you can escape yourself—even when God Himself insists you must remain as Gordon Dratch forever. Another of my favorite stories is “Mother Urban’s Booke of Dayes” by Jay Lake, in which a 22-year-old wannabe shaman learns the ancient ways to influence his environment. Never mind that this underachiever still lives with his mother in their urban Portland neighborhood and is missing the specifics on how to call down the summer rains. At least he has faith in what he’s doing. Simply gather a few herbs from Lowe’s and bind a few mice with duct tape and he’s certain he’ll keep the suburban environment in balance. This is exactly the type of off-kilter story made famous by Harlan Ellison, with irony, humor, and insight embraced in equal measures. I also loved that this story is about a character we all likely know, and about whom we probably don’t know as much as we believe. Perhaps, as the story reveals, the answer to all life’s problems is merely to change the direction of one’s life. And duct tape. Use plenty of duct tape. Other top-notch stories include “Go and Tell It on the Mountain” by Kyle S. Johnson, about a clueless Jesus who loves humanity too much to share the ultimate truth; “To the Jerusalem Crater” by Lavie Tidhar, in which a traveler of the old faiths visits the strange new life in what remains of Jerusalem; and “Days of Flaming Motor Cycles” by Catherynne M. Valente, a zombie story with a spiritual twist. Easily the best story in the collection is Gary A. Braunbeck’s “For My Next Trick I’ll Need A Volunteer.” Don’t ask me to categorize this story—it is equal parts horror, science fiction, and dark fantasy, all wrapped into a Christmas morality tale which oh-so-effectively embraces its happy-perfect ending. Set in Braunbeck’s Cedar Hill sequence, the story follows Detective Bill Emerson as he investigates a horrific murder of a tiny infant. In the hands of a lesser writer this could have been a typical story of the evil people do to one another. Instead, Braunbeck elevates the tale to a classic which will stay with readers for the rest of their lives—and one which will definitely be among my award nominations for this year. All of the stories I’ve mentioned so far rely on straight-forward narratives, but there are also several very good experimental stories in the collection, including “The Last Words of Dutch Schultz Jesus Christ” by Nick Mamatas and “I Sing a New Psalm” by Brian Keene. Mamatas’ story deals with a collage of images and words filtering back and forth through time and influencing each other, from a psychedelic art film to the dying words of mobster Dutch Schultz—delivered in stream-of-conscious rants to a police stenographer—to the crucifixion of Jesus. This story features Mamatas at the peak of his writing ability as he embraces his full-on inner heretic. Of all the stories in the anthology, this is the one most likely to elicit screams of outrage from certain faith-based corners. In a similar vein of heresy exists “I Sing a New Psalm,” which tells the story of a selfish man who has lost all he ever loved in life. Told to the cadence of an Old Testament Psalm, this short tale shows exactly what it takes for someone to bring their own brand of hellfire and brimstone into the lives of others. As with Mamatas’s story, this one also forces the reader to make an effort to get into it. But once inside you’ll find a disturbing tale well worth reading. It is fashionable for reviewers to call anthologies uneven or mixed bags, containing both great stories and merely decent ones selected only as filler. That isn’t the case with Dark Faith. While I’ve only named the best works in the anthology, none of the stories here are less than enjoyable. Even those few stories which didn’t quite work impressed me with what they attempted to do. More importantly, all of the stories fully embrace—in many different ways, but embrace all the same—the anthology’s goal of exploring various insights into faith. Even the few poems in the anthology are worth reading, with one—“The Story of Belief-Non” by Linda D. Addison—among the best I’ve read this year. Not all of the stories in Dark Faith are horror or dark fantasy, but this is an anthology which will appeal to fans of both genres. Equally as important, this is also an anthology for people who don’t love those genres. 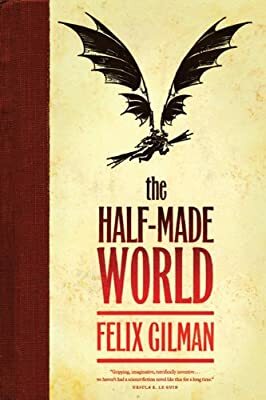 If like myself you’ve ever wondered what’s missing from much of the dark fantasy and horror you’ve read, check out this anthology. I guarantee you’ll find it an illuminating and fascinating read. And equally important, this is one of the best anthologies of 2010. With Dark Faith, Apex Books has published another great anthology to stand alongside their highly acclaimed Apex Book of World SF. Very few anthologies are truly must haves, but Apex has released two of them in the last year. Kudos to Apex for taking the risk of publishing these anthologies, and to Maurice Broaddus and Jerry Gordon for editing a vital exploration into the dark side of that essential “something” we all believe in.